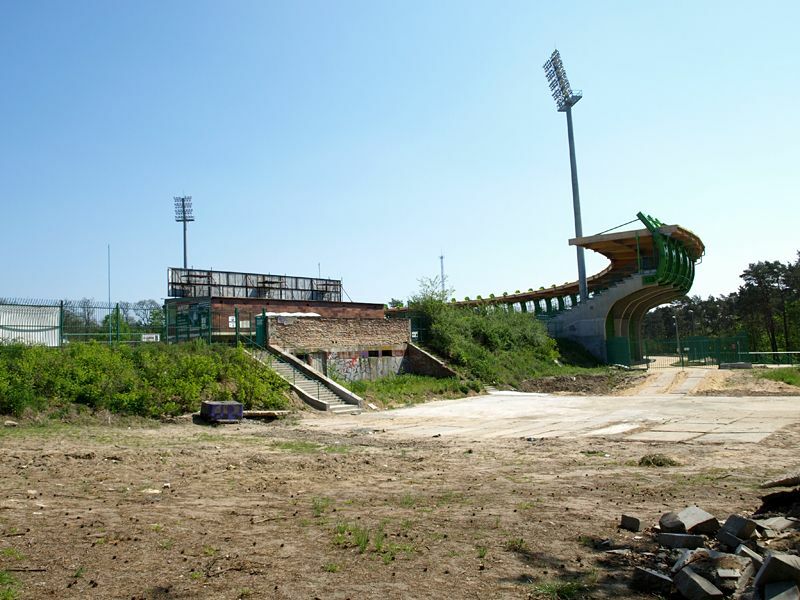 When it was opened in 1926, the city was in Germany and the ground was mostly for athletic events. 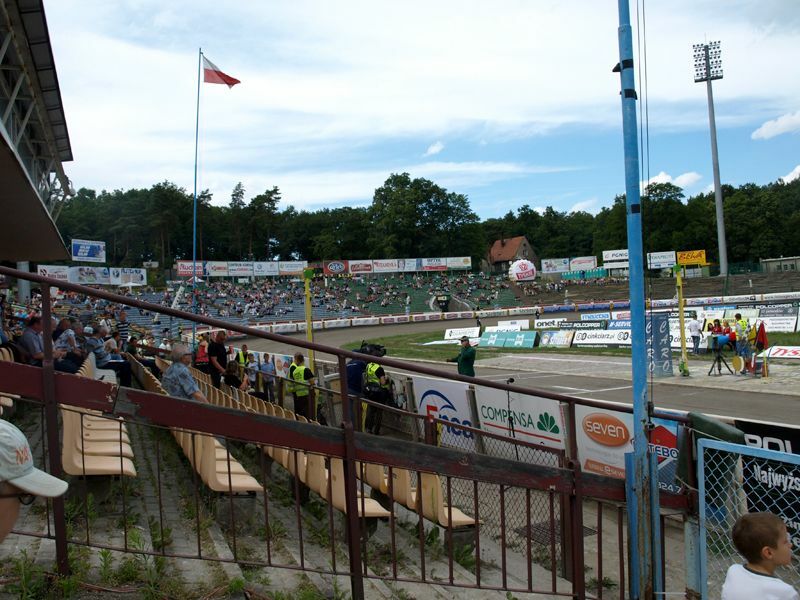 But after WWII this part of the country was transferred to Poland with name translated from Grünberg to Zielona Góra (both meaning Green Mountain). 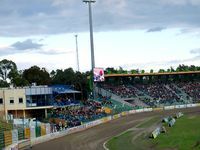 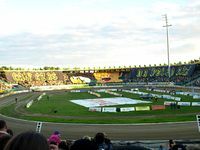 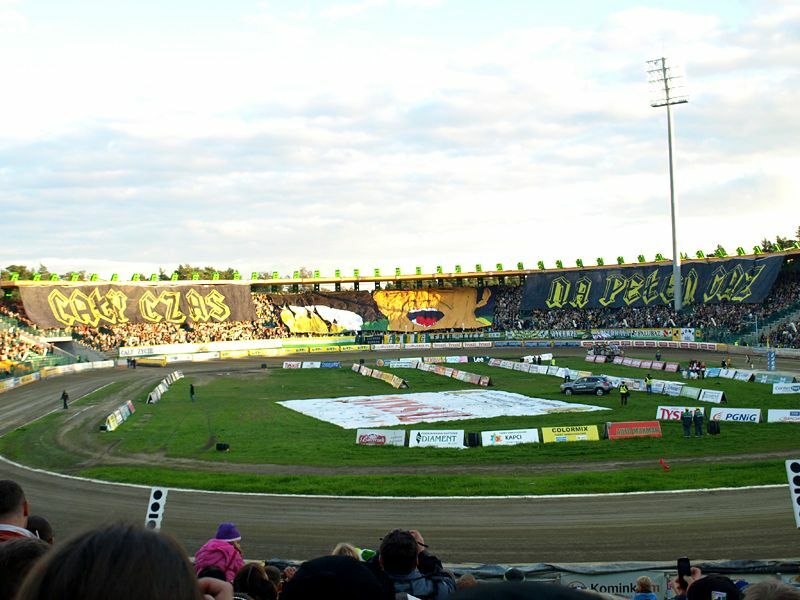 The stadium started being used primarily for speedway racing, though it retained its football function for years to come, losing it lately as games were relocated. 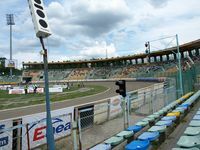 First remodeling came with the speedway track creation in 1946, though a professional one didn’t arrive until 1957, when it also received a tower for the judges. 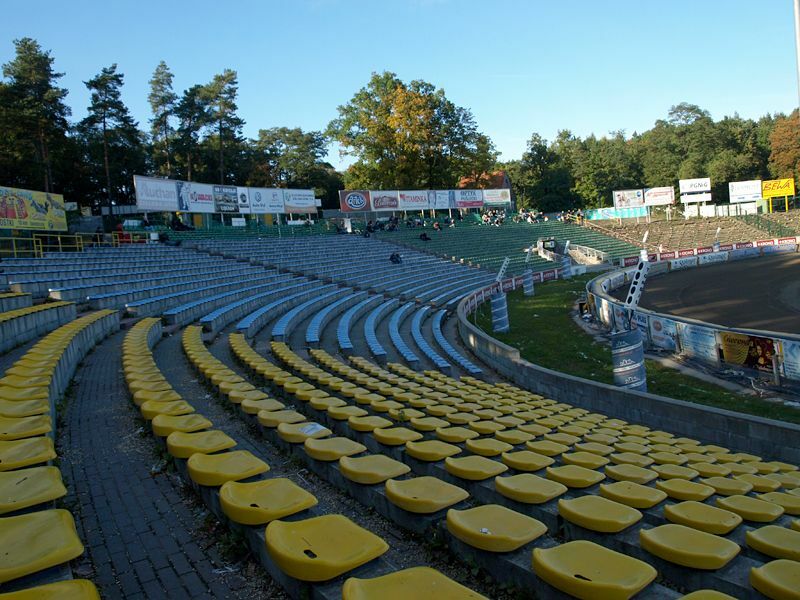 First significant terraces came in 1963 and could accommodate some 10,000 people. 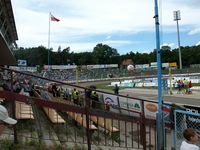 New office and drivers building followed in 1974 on the northern side and was demolished in 2007, replaced by a new VIP stand that received similar infrastructure as well as corporate facilities. 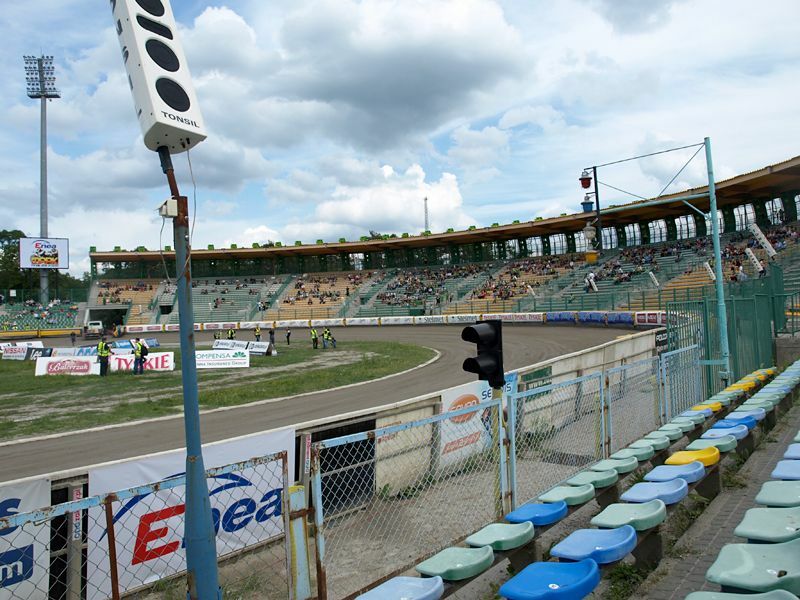 This is also when first races with floodlights were played and in 2008 first giant screen came. 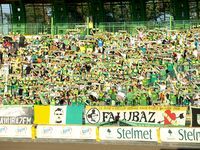 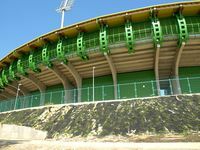 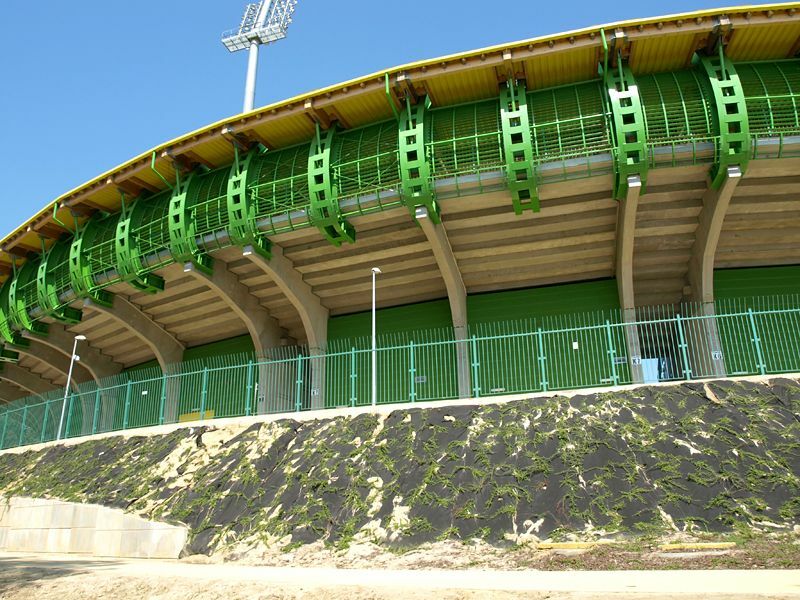 In early 2010 construction of first such big stand started – precast concrete on the south-eastern curve was to hold 6,000 seated spectators and was instantly taken over by local ultras after opening. 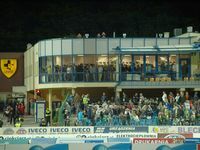 Then it became obvious that the structure has flaws, when roof (although a very small one) started shaking along with fans when they were jumping. 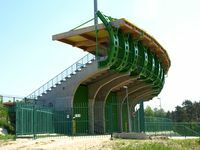 The structure was reinforced, but with little improvement. 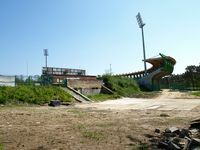 In 2012 another phase of the redevelopment began with the new curve being extended to the southern straight. 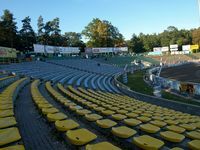 Works are currently ongoing. 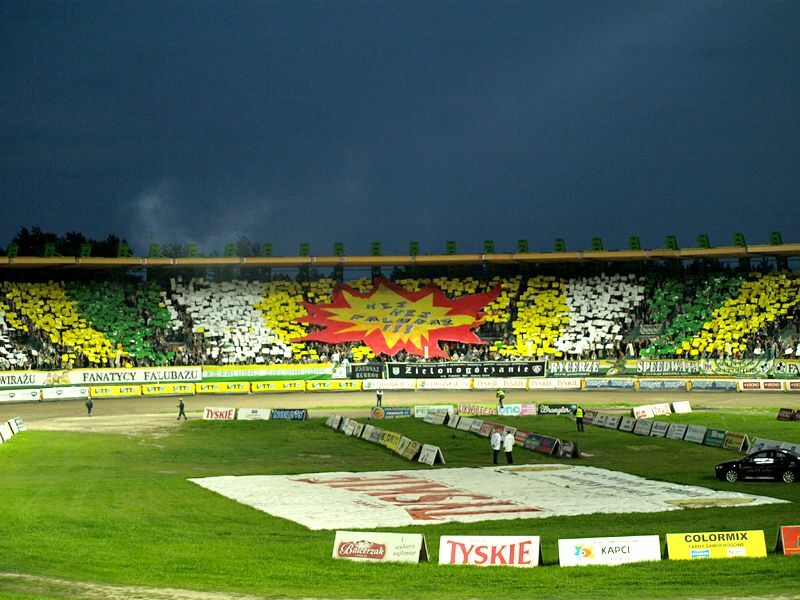 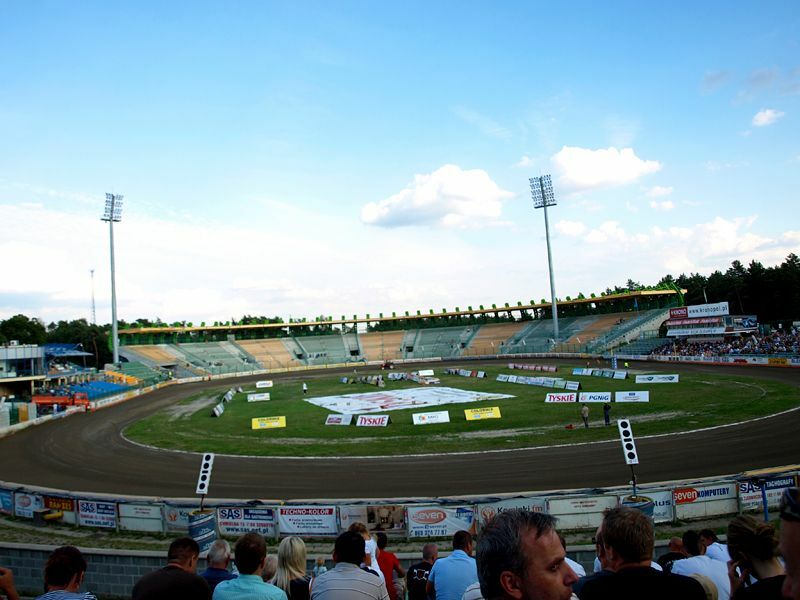 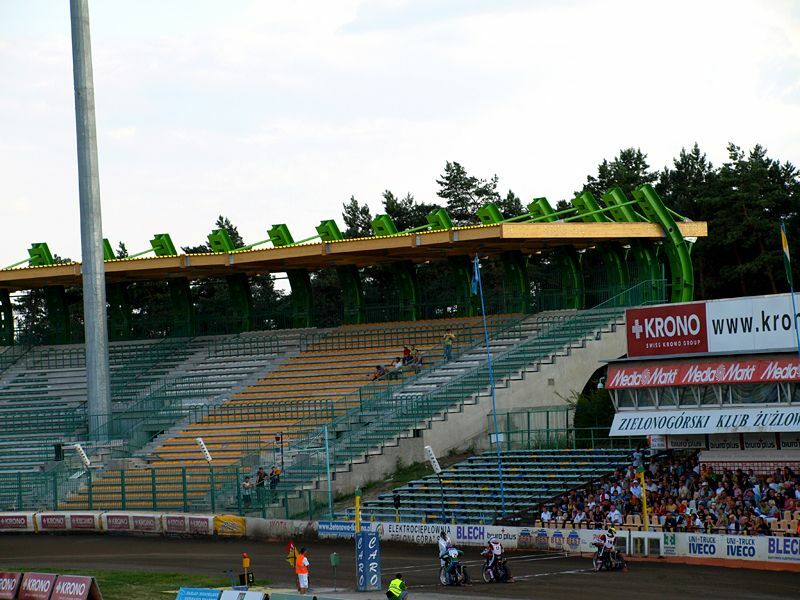 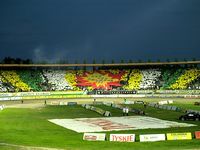 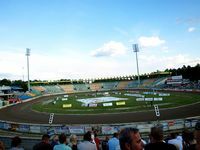 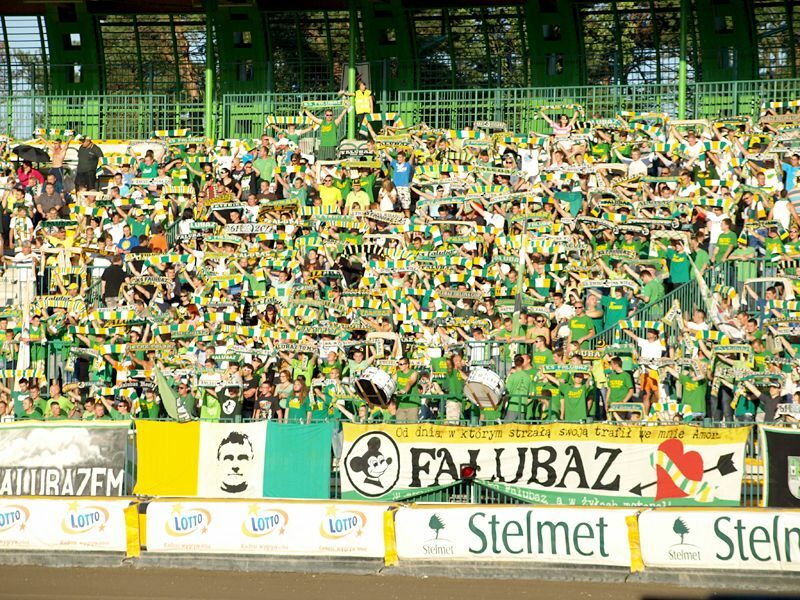 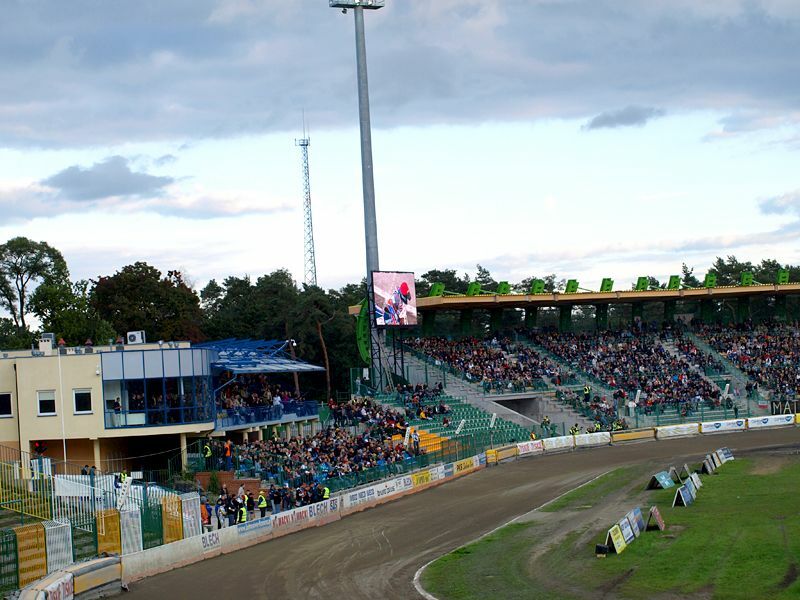 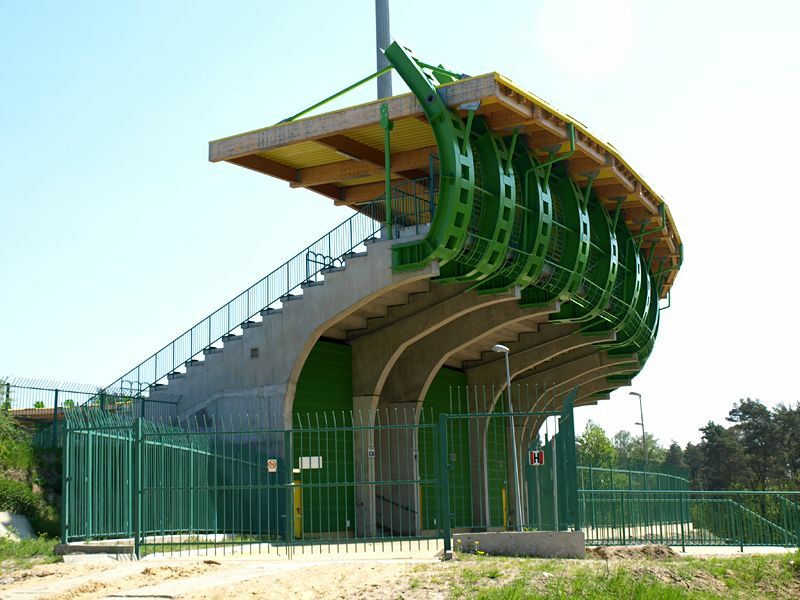 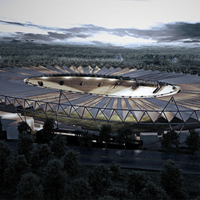 Polish speedway mecca Zielona Góra is currently carrying out second phase of stadium redevelopment. 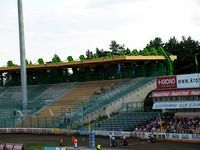 But as foundations are laid for second new stands, a drastic change for the better was presented with the ground to get complete roof over stands and racing track.